When my father started to wean me into the family business, then called the Bombay Oil Industries Ltd (BOIL) many moons ago, I was wet behind the ears. Those were the days when we clung on to models passed on to us over generations and hoped for the best. As I tentatively wet my feet, I figured I would have to change with the times and carve a niche for myself. That is why Marico was born. The how and why I went about it is something I intend to speak of in a book I am working on right now. Since I said it, I might as well plug it. May I suggest you keep your eyes and ears open for what I believe is an interesting story? But I won’t digress. Soon after I got into the business, it was obvious to me, I would have to destroy my business and the practices it held to. I knew it wouldn’t be easy and I would inevitably have to look outside for help. I have never shied away from seeking professional counsel. I must say, that is why Marico is where it is now. Fresh ideas helped me see how to transition a commodity business with no clear differentiators into an entity with strong brands in its portfolio. For instance, when I mention Parachute, coconut oil comes to mind. Saffola is closely associated with healthy eating. Kaya with premium skin care. We have taken these brands to other countries too and done well. This happened because I had solid inputs from all quarters, and I received professional support as well through all of my working life. Even now, as an organization, we never shy away from listening to people who challenge our world-view. That is also why often times, we get some of the finest minds of our times to speak to the senior team and put their thoughts on the table. Else we fear we will atrophy. It is against this backdrop that I invited Prof Ram Charan to address the senior team at Marico to discuss and question fondly held assumptions on the future. The question playing on all of our minds is something chief executives across industries are grappling with. How do we navigate the digital landscape? How are we to cope with the kind of changes our businesses are being pummeled with? I must say the kind of insights he brings to the table and the quality of questions he raises never cease to astonish me. The outcome of that session was a series of compelling thoughts that I think pertinent to share. By way of example, Prof Ram Charan suggested we look at the Fast Moving Consumer Goods (FMCG) business. What, he asked, if the core proposition of the business is questioned? What if the FMCG part in an FMCG business is taken out of its DNA? Quite honestly, most of us in the room thought it an outlandish proposition. Because the moment you begin to take what lies at the core of a business, you begin to sow the seeds of its destruction. That is what all of us are weaned on. The way things are evolving it is only a matter of time before conventional FMCG businesses become redundant. But, Prof Ram Charan had an altogether different take. The way things are evolving, he argued, it is only a matter of time before conventional FMCG businesses become redundant. It is only pertinent then that players in this space ask what variables can potentially drive them to extinction. He pointed us to three. Between these three, consumers are deploying extensive data to make informed buying decisions and the value chain is being transformed. So, in the longer run, if any company in FMCG has to remain in business, it will have to think of itself as a digital platform; or as he put it so eloquently—a digital consumer company. The thought isn’t a far-fetched one. Come to think of it, at the end of the day what is Amazon? For that matter, what is Flipkart? Go a step further and think of how the automobile industry has evolved. Ford doesn’t call itself an automobile company. Neither does BMW. Microsoft is no longer a software company. IBM is not only about outsourcing. Talk to all of the people in their C-suites and they describe themselves as technology companies. They have morphed into digitally driven consumer companies, or industries, if you will. To that extent, the platform is the strategy. The thing here is if the platform is indeed the strategy, there is a very good reason. “We ought to own the consumer”—a mantra chanted by pretty much everyone who has had a glimpse of what lies ahead. To put that into perspective, clichéd as the example may sound, Prof Ram Charan asked us to dwell on Amazon. What started off as an online book vendor now competes against Microsoft. What makes this stunning still is that Amazon is winning the battle. Again, it is pertinent to ask why. Like I said earlier, the three variables at work here allow Amazon to do a couple of things brilliantly. The algorithms offer them insights into a consumer’s behaviour. In turn, that allows them to influence what they buy. Between the digitization and sensors they’ve deployed, they have the ability to move incredibly fast and outpace competitors. Not just that, digitization provides them with just the kind of data they need to stay nimble even as they grow into gargantuan proportions. If this were to be extrapolated with what Amazon is doing, it is to ensure a large part of their fixed income comes from the platform they are invested in—not the core business, as we understand it in the traditional sense. That is why it makes sense for them to pour more investments into the platform they are operating out of. In turn, this allows them the latitude to get into businesses they would otherwise not have imagined they had the muscle to elbow into. The new strategy for any company ought to be one that aligns itself to morph into a platform. By that yardstick, the new strategy for any company in the world we live in ought to be one that aligns itself to morph into a platform. If all of these lessons were to be extrapolated into what shape companies ought to take and what questions CEOs ought to ask, three come up. First, own and influence the consumer digitally. Second, invest disproportionately to build a platform. Going back to the FMCG example, what prevents a firm in the space to get into adjacencies like banks, insurance and farming? And third, leverage technology to customize and tailor so that an individual’s requirement can be met—notwithstanding size. And all of these efforts will have to be directed in a manner that eliminates the middleman in every which way possible. That is how companies can hope to deliver a seamless experience of the kind a consumer has gotten used to on platforms like Amazon and Flipkart. This creates yet another question. How does a traditional company make what looks like a painful transition? In the first instance, ensure initial financial risks are on the lower side. To do that, Prof Ram Charan asked us to imagine a scenario where, we at Marico for instance, were to dish out cheap smartphones that can be built now for as low as $30 to our retailers. What can they do with it? 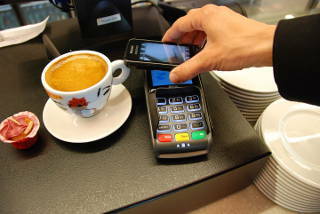 In the longer term, perhaps nudge them out of the idea of selling physical products. Because, he argued, we’d be off target if we aimed at others trying to sell coconut oil. Instead, we ought to aim at competing with Amazon. This kind of thinking can be extrapolated to pretty much every industry and business I can think of. But before that, it is important to map out top down the list of decisions and decision makers. That done, ask which decisions ought not to be made by humans. The reason we need to think along these lines is because that is the only way we can build efficiency and consistency. As conditions change, machines will learn to understand and forecast it. As for strategic decisions, like I said earlier, it can be made on the back of data the platform throws up. It sounds plausible because I like what I see is happening on the mobile front. By the end of this year, 4G will begin to roll out. It is inevitable once again things will change dramatically. And once again, we need to understand what the implications of this will be on the psyche of the Indian consumer. That is why Prof Ram Charan insisted everybody in business ought to understand technology in much the same way we understand profit and loss statements. If that falls into place, there is nothing that can stop potentially competent firms from getting into adjacencies like I mentioned earlier. For instance, one of the most compelling needs in the distribution business is access to finance. Is it possible to disintermediate the financier? 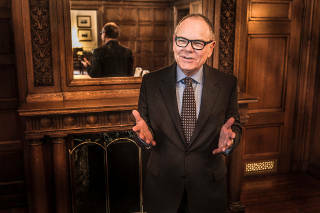 How about us thinking of building a credit rating agency for small retailers? It is entirely possible an FMCG company can build one because the space throws up extensive and reliable data. India doesn’t have a credit rating agency of this kind. Is the idea worth exploring? Think about it for a moment. An FMCG company moving into spaces like banking and credit rating may have sounded loony. But technology and the exigencies of building a platform makes this not just possible, but inevitable. Eventually, this holds potential to create a direct-to-consumer company as well. In building an entity like that though, conventional thinking ought to be turned on its head. For instance, we ought to begin by questioning conventional wisdom that suggests we stick to core competencies. Is that necessarily the right thing to do? In this new world, we ought to think of new core competencies. Else we stand the risk of being pushed to the blind end of the wall. We ought to begin by questioning conventional wisdom that suggests we stick to core competencies. We need to understand the blueprint of change on a two-year basis every quarter. And not on a 10-year basis as is the norm. This blueprint must have milestones and key performance indicators (KPI) built into it. We necessarily ought to be externally oriented if we are to make sense of all the information that comes in. Over the next one month, what three things do we need to do that we are not doing to be a digital consumer group? Over the next one month, what three things will prevent us from doing it? In attempting all of this, we do not stand to lose much. What dent will it make to a conglomerate’s bottom line if it were to allocate Rs 5 crore to prototype, experiment, fail and learn fast? And if it hits pay dirt, it can scale as rapidly. Sure, there are risks involved in scaling. But there is no other way to build a platform of any consequence or overthrow fondly held notions. What dent will it make to a conglomerate’s bottom line if it were to allocate Rs 5 crore to experiment? Surely, surely, there is much to chew on as we rethink our way going forward. And if that means destroying your business to rebuild it for the future, it will have to be done. Thanks for sharing Mr. Mariwala. Had an opportunity to interact with Marico, its journey has always impressed me. I have always been intrigued by how, at times and firms like Apple and Amazon are portrayed. Retail consolidation that took place in US since 70 (when a few knew Wal*Mart) gave similar power to retailers such as Wal*Mart, Target, Home Depot etc. Over the years some of these companies successfully managed to get into new "adjacencies". Wal Mart entered into grocery, then banking (in Mexico), Vision care, and Pharmacy etc., exerted its power from understanding of consumers (via bar code, POS technology, store level data, volume, SKU and speed) on its suppliers, and introduced private labels. But several brands continue to thrive-- P&G, Coke, Pepsi, Rubbermaid, to name a few, make their products and compete against their traditional rivals. These companies offer core products that meet the need and stuck to their core. Can we look at Amazon as just a digital version of what happened in retail in US since 70s plus what digital capabilities enable minus limitation of digital only presence. For several products it may shift power in favor of "consolidated digital retailer" but for several others this would be just be a channel that they would exploit better without losing their pull on and understanding of consumer and power to entities like Amazon. They would not be able to access the adjacencies that Amazon would be capable of, they will not compete with Amazon. May be they do not need to as they will still be able to create and capture value. For long, Design - and it's tacky sibling, Marketing - has been the cultural shaper of our worlds. We have designed systems, cities, and commodities. For the first time, technology is binding together complex issues like human mental models, social behaviours, economic and political issues, capital investment, production ease, dissemination and distribution, maintenance and service, performance and quality, and ecological issues and sustainability into a simplified mix with visible controls. The combination of design, technology, sensors, and the exhaust data they pour shapes business, identity, brand and value. This is the new business of beauty. Having said which, the person who makes the wearable that senses the oil on the skin, and UV exposure, and talks to pollutions sensors on its own social network, owns the lucrative last mile to the conscious consumer. Not an FMCG company. Not Amazon. Both of them just fulfil the need. 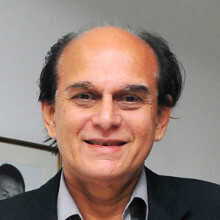 Harsh Mariwala is chairman of Marico, a consumer goods company, best known for brands like Parachute hair oil and Saffola. In 1971, when Mariwala, born into a traditional business family, took over the reins of the company, its revenue was just about $75,000. 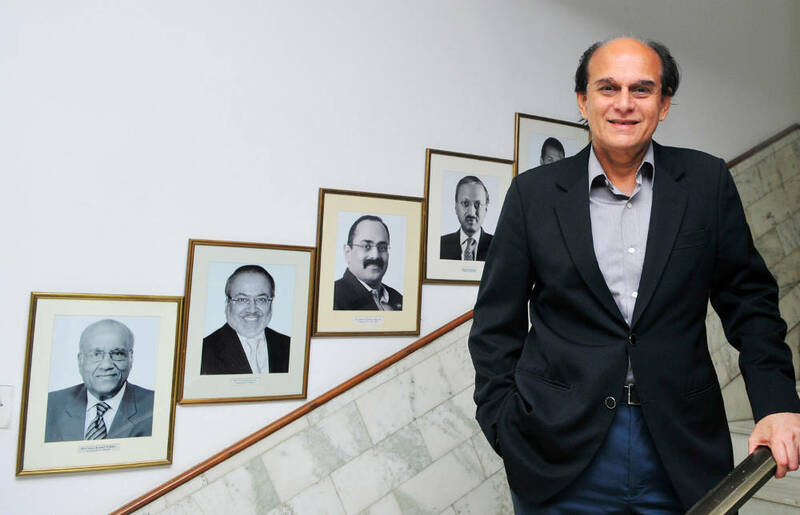 Over the next four decades, he turned Marico into a formidable, professionally-run multinational company with footprints in South Africa, Vietnam and the Middle East. Today, its revenues are well over $750 million and one out of every three Indians is a Marico consumer. Mariwala is also the founder of the Ascent Foundation, a non-profit, peer-to-peer platform for entrepreneurs. Its core philosophy is to create sector-specific 'trust groups' of folks who have founded startups and want to scale them up to the next level. The idea is to gain perspectives from fellow entrepreneurs on the hurdles they face while trying to grow their businesses. 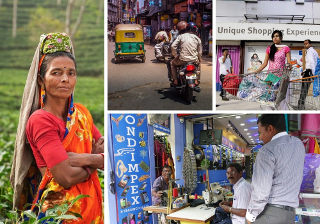 In October 2014, Ascent had 26 trust groups of 338 entrepreneurs spread across India. By 2022, Ascent aims to increase that number to 10,000 entrepreneurs. He is at work on his first book that will be published in 2016.